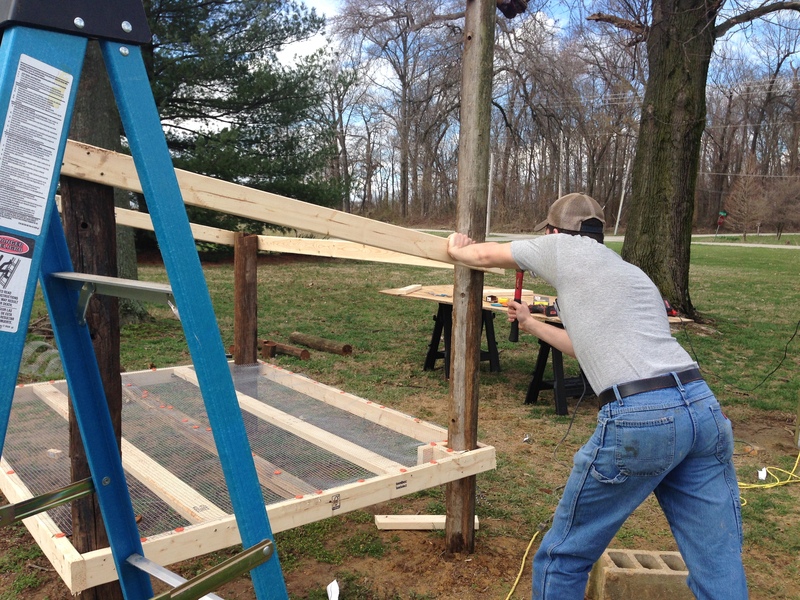 I spent most of my Sunday helping Matt work on the duck coop. Mostly, I held things in place or set on the bed of the truck and watched while he did all of the hard work. Geordi, the cat, also enjoying having company out in the sunshine.